Wow! We’re celebrating once again here at the Jupiter Group. As we continue to build on our successes in 2018 we can’t believe the amazing recognition that our fresh produce world is continuing to receive across the globe. 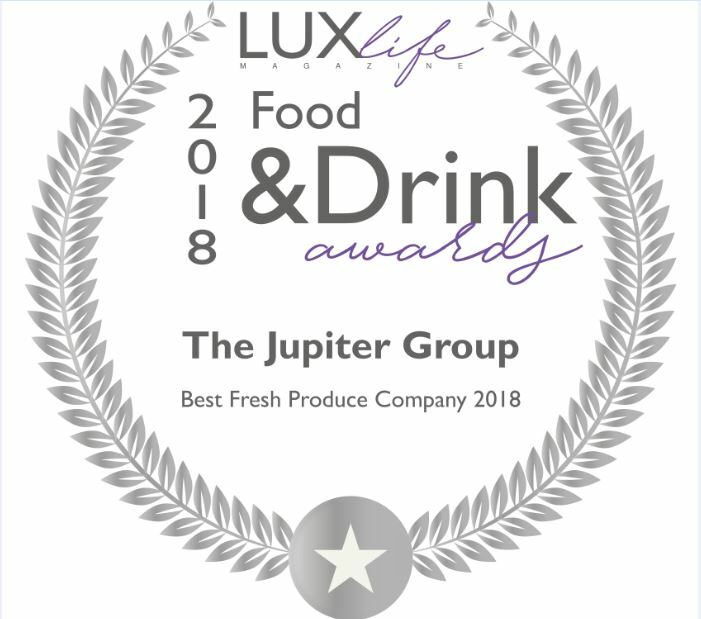 We are honoured to reveal that we’ve just been awarded the prestigious title of Best Fresh Produce Company 2018 in the Food & Drink Awards hosted by Lux Life. This fabulous, “merit-driven” recognition has been awarded to us following a combination of votes by the magazine’s “respected industry partners” and “rigorous in-house research”. We’re proud to receive this wonderful title, which follows on from us being named earlier this year as one of the fastest growing British companies, when it comes to international sales, in the Sunday Times International Track 200. We believe that being named as a “leading light” and innovator in our field by Lux Life, which boasts 280k readers spanning 170 countries, will help to further boost our global profile. Speaking of its awards the magazine states: “We showcase the leading lights in a variety of industries who are providing the highest possible quality products and services around the world. Just one of our proud innovations, as a grower and trader in fresh produce, is that we are pioneering new varieties of ARRA grapes in our own vineyards, which you can read more about in our blog here.